Beautiful Hunter 380 -- very nice condition -- ready to head out for the afternoon or off into the sunset! If you are in the market for a cruiser, look no further than this 2001 Hunter 38, just reduced to $74,900 (offers encouraged). 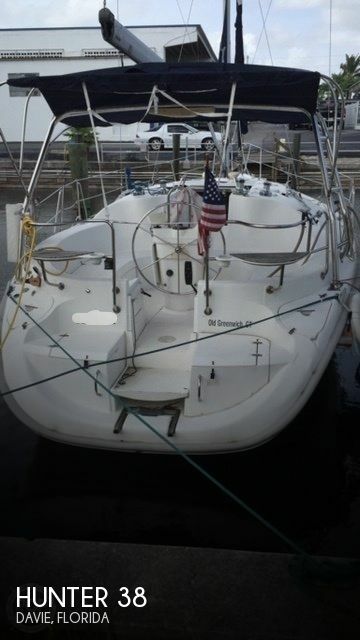 This vessel is located in Dania Beach, Florida and is in good condition. She is also equipped with a Yanmar engine that has 532 hours. Take a look at ALL ***149 PICTURES*** of this vessel on our main website at POPYACHTS DOT COM. We appreciate that you took your time to look at our advertisement and we look forward to speaking with you!